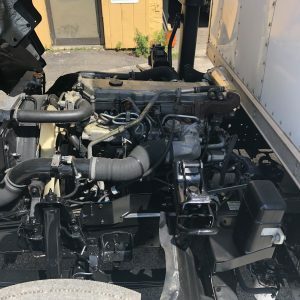 2007 Chevy 4L80E Automatic Transmission with E-Brake on Rear shaft - TA Truck Sales Inc.
A complete running take out automatic transmission from a 2007 Isuzu NPR-HD truck. This is a 4L80E Chevrolet transmission with an Emergency brake on the tail shaft. Runs great, the truck was wrecked, we started it and ran it in the yard. truck drives except cab is totaled. Miles unknown as it has been replaced. No core needed for this. you will get the complete transmission. Installation is available if you need it or you can pick it up on a pallet or have it shipped. You pay shipping.